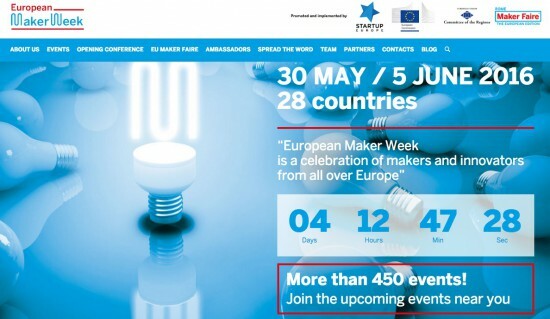 When in Rome: Join us at Europe’s Biggest Maker Faire! Education: The Arduino Education team will be exhibiting the flagship CTC 101 program and the Engineering Kit. Starting at 11am, there will be 15-minute demos every hour that address the ways Arduino can be implemented as a learning tool from primary schools all the way up to universities. Makers: We have been working on a pair of new projects to highlight the key specs and possible use cases of the Uno WiFI. Moreover, visitors will have the opportunity to meet the winner of the Arduino /Distrelec Robotics & Automation Contest. Internet of Things: This section will be focused around a smart greenhouse connected to the Arduino IoT Cloud, along with two demos of the MKR Vidor 4000. Finally, we will be showcasing some practical demos on how startups and companies have turned to Arduino to bring their products and services to market. The Arduino booth will also include a special station dedicated to the Arduino Store, where will be giving away 500 discount vouchers for online purchases on a first come, first serve basis. 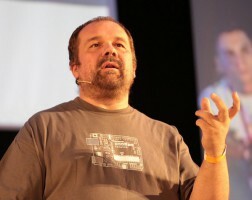 10:30am: Opening Conference (Pavilion 10 – Room 1/Sala Alibrandi): Massimo Banzi, Arduino co-founder, will join Maker Faire’s opening conference ‘Groundbreakers: Pioneers of the Future’ with the talk Democratizing Industry 4.0. Register here. 2:30pm – 5:30pm (Room 17 SC3): Debugging with Arduino: A hands-on workshop with Microchip’s Wizard of Make, Bob Martin, and Arturo Guadalupi, Arduino Hardware Design Engineer, which will explore advanced debugging techniques for Arduino sketches. More info here. 2:30pm – 3:30pm (Pavilion 9 – Room 11): CTC: Bring Open-Source into Your Classroom: In partnership with Campus Store Academy, this informative workshop will walk you through implementing Arduino in the classroom with Arduino CTC 101. Register here. 11:30am – 12:30pm (Pavilion 7 – Room 7): Arduino MKR Vidor: Democratizing FPGA: Led by Martino Facchin, Arduino Senior HW Engineer, this session will discuss how the MKR Vidor combines the power and flexibility of an FPGA with the ease of use of Arduino. More info here. 11:45am – 12:45pm (Pavilion 9 – Room 11): In partnership with Campus Store Academy, this informative workshop will walk you through implementing Arduino in the classroom with Arduino CTC 101. Register here. 2:15pm – 3:15pm (Pavilion 7 – Room 7) Arduino IoT Cloud: The Internet of Things Revolution: Luca Cipriani, Arduino CIO, will focus on the potential of the Arduino IoT Cloud, the latest developments in the Arduino ecosystem, as well as how to build connected objects in a quick, easy, and secure manner. More info here. 4:15pm – 5:15pm ( Pavilion 9 – Room 13): Arduino Engineering Kit: Advanced Programming and Learning Applications: In collaboration with Campus Store Academy, this workshop is concentrated on helping tomorrow’s engineers approach mechatronics and automated control. Register here. 5:45pm – 6:45pm ( Pavilion 9 – Room 11): STEAM with Arduino: In collaboration with Campus Store Academy, this session will introduce you to the Arduino Starter Kit Classroom Pack and how Arduino is being used as a flexible learning tool. More info here. 2:45pm – 3:45pm: Shape Your Future with MATLAB and the Arduino Engineering Kit: In collaboration with the MathWorks team and Jose Garcia, HW Engineer at Arduino, this talk will feature live demos of a robot designed and controlled with Arduino and MATLAB. More info here. 4:15am – 5:45pm (Pavilion 9 – Room 11): CTC: Bring Open-Source into Your Classroom: In partnership with Campus Store Academy, this informative workshop will walk you through implementing Arduino in the classroom with Arduino CTC 101. Register here. Want to learn more? 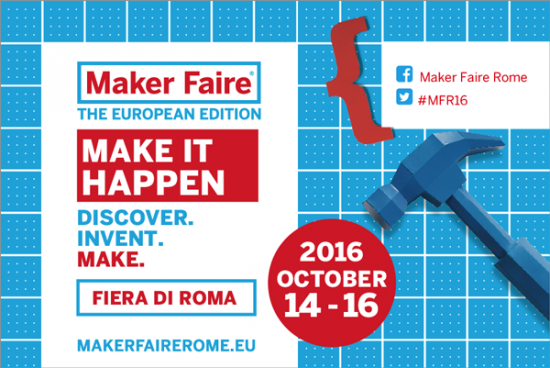 The entire agenda and all other important information is available on Maker Faire Rome’s website. Planning to attend? Save on admission using the code: MFR18EBGMT. See you at Maker Faire Bay Area! 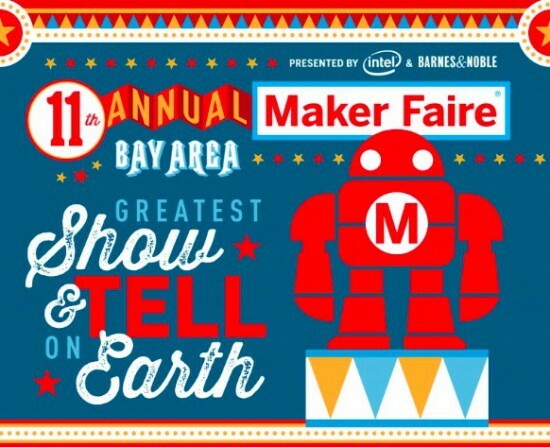 In just a few days, the Arduino team will once again be attending Maker Faire Bay Area! Those heading to San Mateo on May 18-20th will want to swing by our booth, where we are partnering with Microchip, inside the Electronics Pavilion (Zone 2). We have also been preparing a series of demos that showcase the latest Arduino products announced during Arduino Day, including the new MKR WiFi1010, MKR NB 1500, and Arduino Engineering Kit. 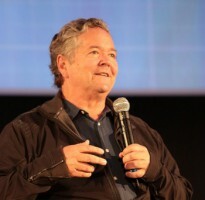 As is tradition, Massimo Banzi will take Center Stage on Saturday at 12:30pm PT for The State of Arduino. We look forward to seeing you this weekend in Zone 2! For more information on the program and venue, be sure to check out the Maker Faire website. 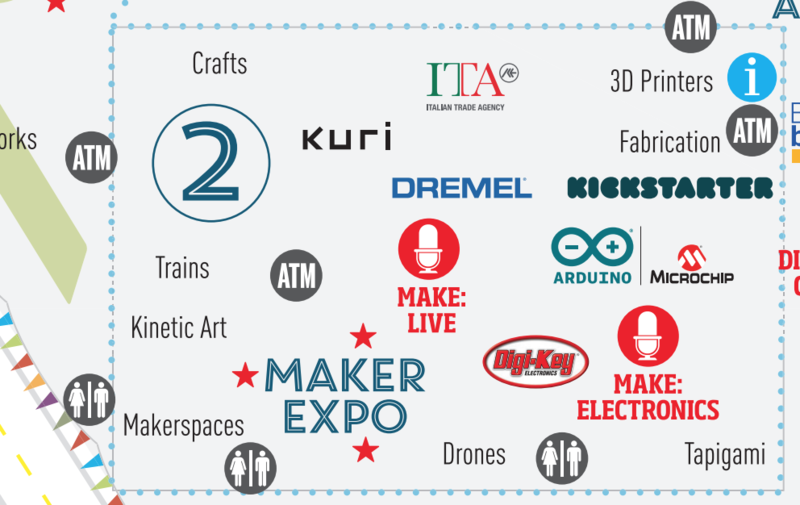 Starting tomorrow, Friday, Dec. 1st, the Arduino team will be exhibiting at 5th annual Maker Faire Rome – The European Edition. Those heading to Rome over this weekend (December 1st -3rd) are invited to swing by our booth at Pavilion 7 (Interaction) and join us for some inspiring talks. This year Arduino is also operating the official Maker Shop with lots of products and ideas that can help you find original gifts for Christmas. We’ve been preparing a series of demos for adults and kids at the booth to showcase the new Arduino Education products and programs and the latest developments of the MKR family boards and IoT solutions. Moreover, you’ll have the opportunity to learn more about the AUG (Arduino User Group) Program, to meet the winner of the Arduino MKR FOX 1200 Contest, and to play with an interactive installation by Supsi university! At Pavillon 7, close to Arduino Booth there will be a Maker Shop by Arduino selling most of the Arduino products (including the latest Arduino MKR WAN 1300 (Lora) and Arduino MKR GSM 1400 recently announced!). You’ll find also some other interesting kits and Christmas gift ideas for kids, makers and developers, plus a selection of Arduino goodies. 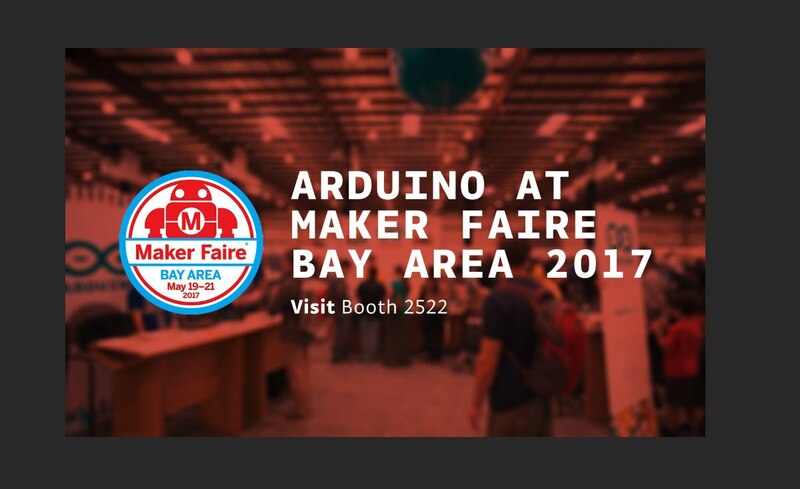 Arduino will once again return to Maker Faire Bay Area, taking place May 19th-21st in San Mateo, CA. 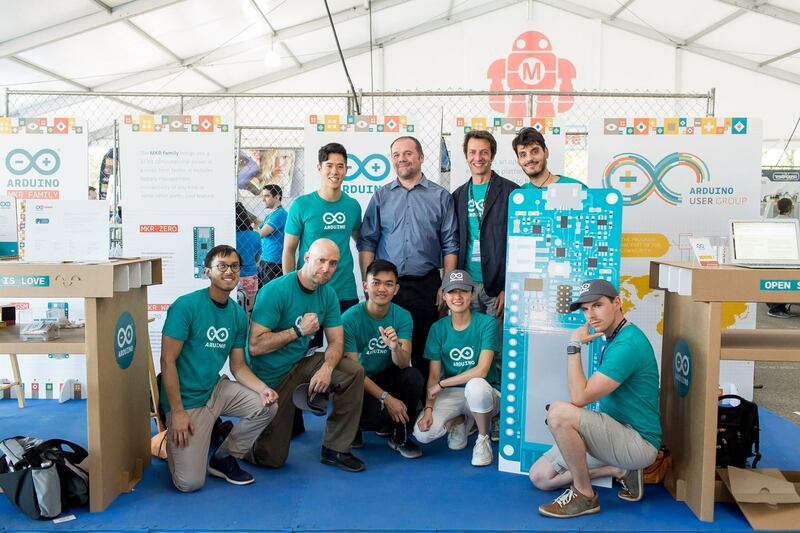 As a sponsor of this year’s event, attendees will be able to meet our team, go hands-on with boards and projects, and even buy kits of their own at our pop-up shop at the Arduino booth. 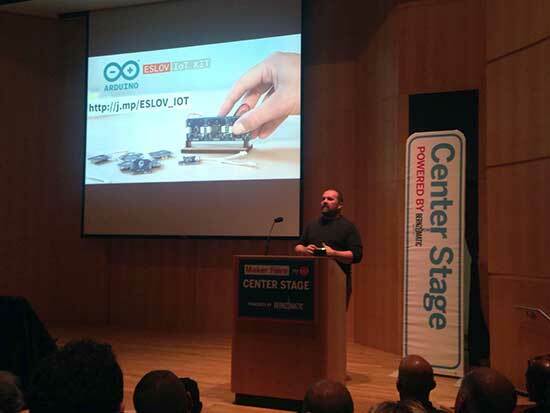 Makers can also learn about all of our recent developments as Massimo Banzi takes Center Stage for his annual ‘State of Arduino’ keynote on Saturday at 12:45pm. Those who come by our booth (#2522) will have the chance to check out our new MKR family, which include the MKR1000, MKRZero, MKR2Uno Adapter, MKR Relay Proto Shield and MKR Proto Shield, along with some IoT demos created in collaboration with Officine Innesto and Fablab Bologna. Why wait to get home to purchase your boards? The MKR lineup as well as a few special bundles–the MKR Family Developer Bundle, the UNO to MKR bundle and the Young Maker Bundle–will be on sale all weekend long. These kits will be available at a discounted price on-site and on our online store from Friday, May 19th to Sunday, the 21st. But that’s not all. We’ll be joining our friends at Intel, where we’ll be showcasing Arduino Education’s CTC 101, a modular STEAM curriculum for schools looking to bring technology and programming into their classrooms. There, you’ll also find a preview of some projects built with the Starter Kit 101, the latest collaboration between Intel and Arduino. Whether you have a question about Arduino, want to speak with our team of experts, or simply want to take home a board, be sure to swing by our booth and store next weekend! 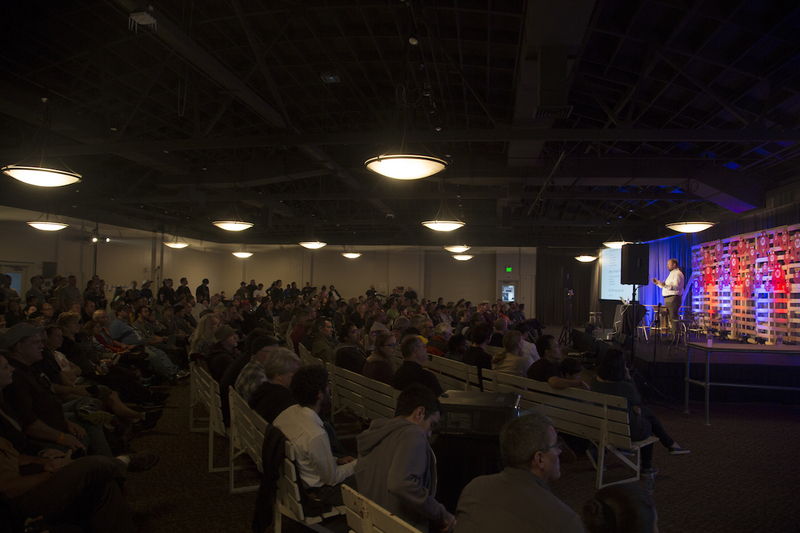 For more information and tickets, check out Maker Faire’s official site! Arduino, the world’s leading open-source ecosystem for Educators, Makers and IoT developers of all ages, today announced that Arduino LLC (aka Arduino.cc) and Arduino srl (aka Arduino.org) have settled their differences and signed a Settlement agreement. 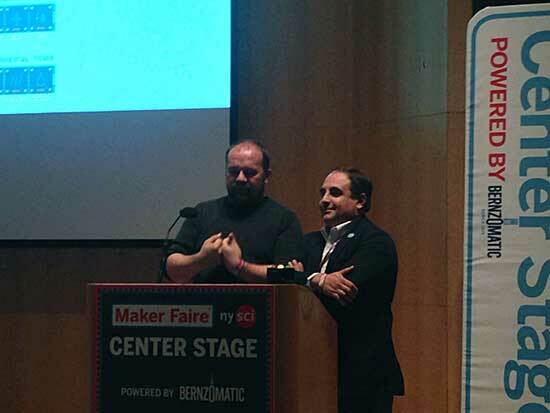 Massimo Banzi and Federico Musto took the stage today at the New York Maker Faire to announce the good news. In addition, Arduino will form a not-for-profit “Arduino Foundation” responsible for maintaining the open source Arduino desktop IDE, and continuing to foster the open source movement by providing support for a variety of scholarships, community and developer initiatives. In preparation for Makerfaire, [hwhardsoft] needed to throw together some demos. So they dug deep and produced this unique display. The display uses two synchronized peristaltic pumps to push water and red paraffin through a tube that switches back over itself in a predictable fashion. As visible in the video after the break, the pumps go at it for a few minutes producing a seemingly random pattern. The pattern coalesces at the end into a short string of text. The text is unfortunately fairly hard to read, even on a contrasting background. Perhaps an application of UV dye could help? Once the message has been displayed, the water and paraffin drop back into the holding tank as the next message is queued up. The oil and water separate just like expected and a pump at the level of each fluid feeds it back into the system. We were deeply puzzled at what appeared to be an Arduino mounted on a DIN rail for use in industrial settings, but then discovered that this product is what [hwhardsoft] built the demo to sell. We can see some pretty cool variations on this technique for art displays. Maker Faire is a three-day, family-friendly event that has been celebrating the DIY Movement for the last 10 years. The ‘Greatest Show & Tell on Earth’ is designed for creative, innovative people of all ages and backgrounds, who like to tinker and love to make things. 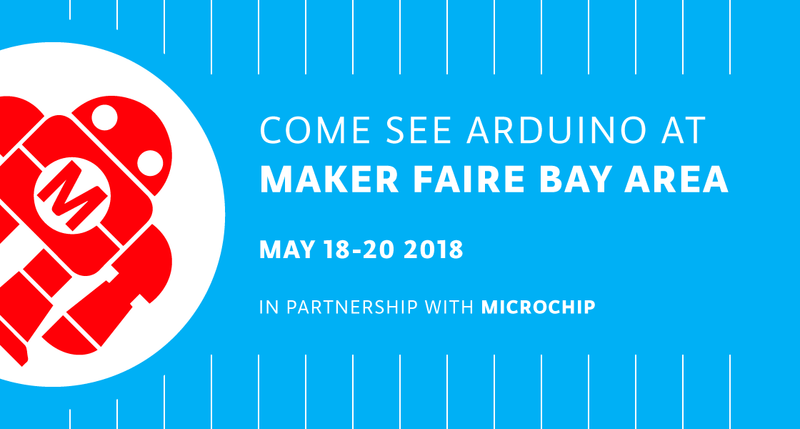 In just a few days, the Arduino team will be in attendance for the 11th annual Maker Faire Bay Area as a Goldsmith Sponsor. Those heading to the San Mateo on May 20th-22nd will want to swing by our booth (#2321) and join us for some inspiring talks, especially the highly-anticipated State of Arduino by Massimo Banzi on Saturday at 12:30pm. 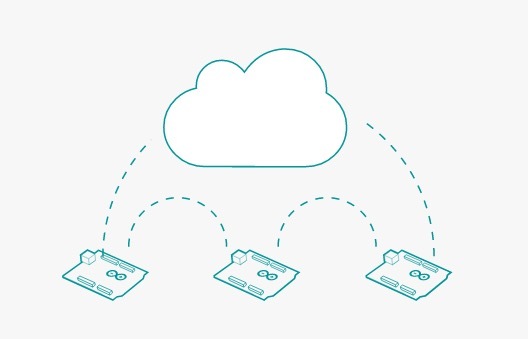 The Cloud Sensor Station is equipped with four different sensors: gas detection, light intensity, motion detection (infrared) and temperature/humidity. These four sensors send values to the Arduino Cloud so that you can see real-time results of the collected data from everywhere. The Yún Message is a smart desk, developed in collaboration with Opendesk, that displays custom messages on an LED matrix. This piece of smart furniture lets users share a reminder or note through a webpage. Come and leave a note or… do it online! Additionally, we’ll be showcasing our Creative Technologies in the Classroom (CTC) program, which is a collaborative learning curriculum designed for schools that wish to incorporate emerging technologies into their existing technology classes. Whether you’re a teacher or student, come and discover how to explore electronics through a series of hands-on coding projects that’ll provide you with the foundations of programming, electronics and mechanics. Aside from some of our latest products and projects, we’ll also play host to several members of our growing open-source ecosystem and partners like Intel, ARM and Atmel, to name just a few. Have a question about Arduino? Looking to get started but don’t know how? Beginners, or even experienced users, will have the chance to get their questions answered inside our booth. We’ve set aside an area where you can speak to our team of experts, from your recent invention to one of our boards. 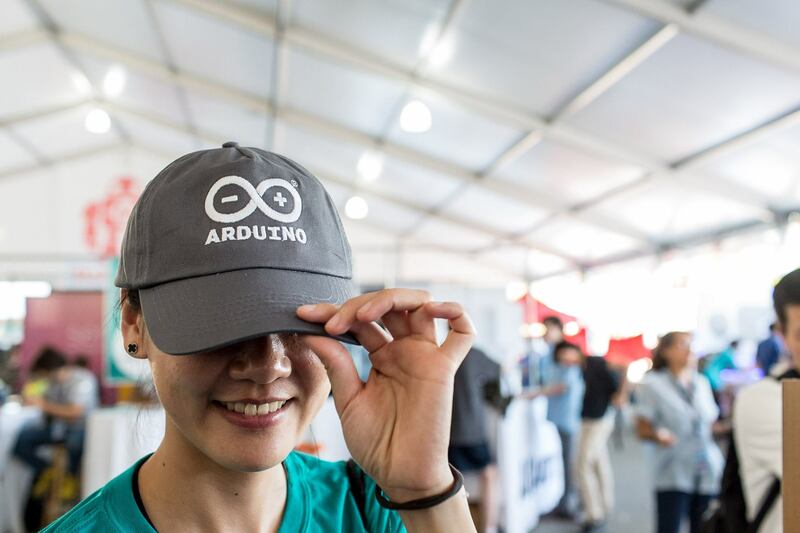 What’s more, you’ll even be able to take home an assortment of Arduino SWAG: stickers, pins and other cool giveaways! Can’t wait to see everyone soon! In the meantime, stay tuned as we’ll be posting a confirmed agenda of scheduled talks in the next few days. For everything else, check out Maker Faire’s official site!